Widemouth Bay, Bude, EX23 0AW. Situated on the North Coast near the Devon border, Widemouth Bay is one of Cornwall’s best surfing beaches. 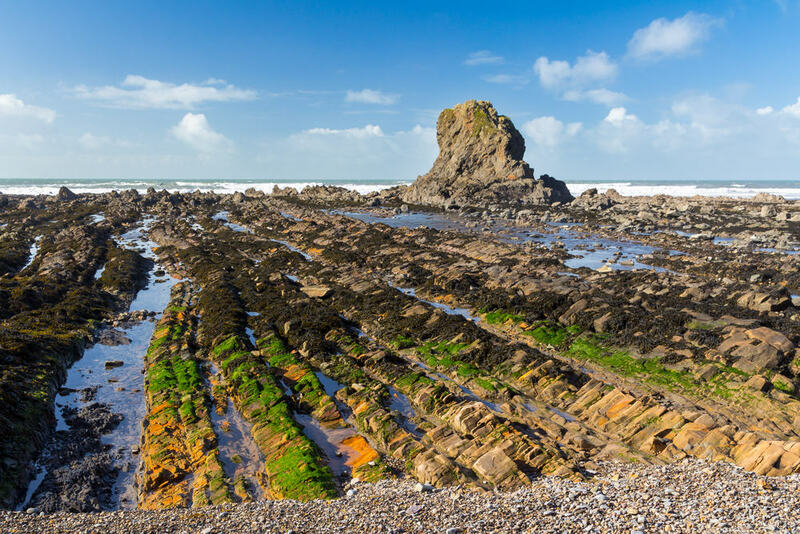 At low tide the beach reveals hundreds of rock pools for kids to explore and the beach’s golden sands are great for sports and making sandcastles! The bay is 3 miles from Bude, where you can pick up a traditional Cornish pasty for lunch. There is also a café 100 yards from the beach. The marine conservation society awarded Widemouth excellent water quality status in 2014 making it a safe beach for all to enjoy - it is also lifeguarded between Easter and October. If you’re in North Cornwall, don’t miss out on the chance to spend a day at Widemouth – you’ll not find many other beaches that offer regular clean surf and untamed beauty, making this one a family favourite. Dog friendly all year on the south beach (Black rock)- the Northern beach has a seasonal dog ban between Easter and 30th September. The surfing schools on the beach where day or week-long courses offer you the chance to learn to become a pro. The numerous coves accessible at low tide. 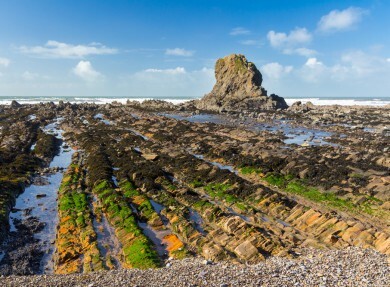 Set off on an adventure and discover the hidden beaches that neighbour Widemouth.